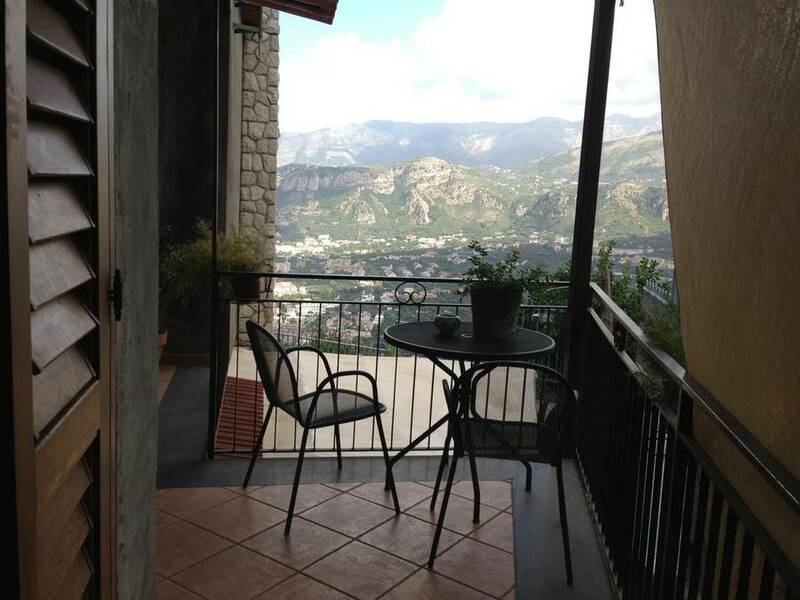 Sometimes a real vacation is one in which you feel as relaxed as if you had never left home. 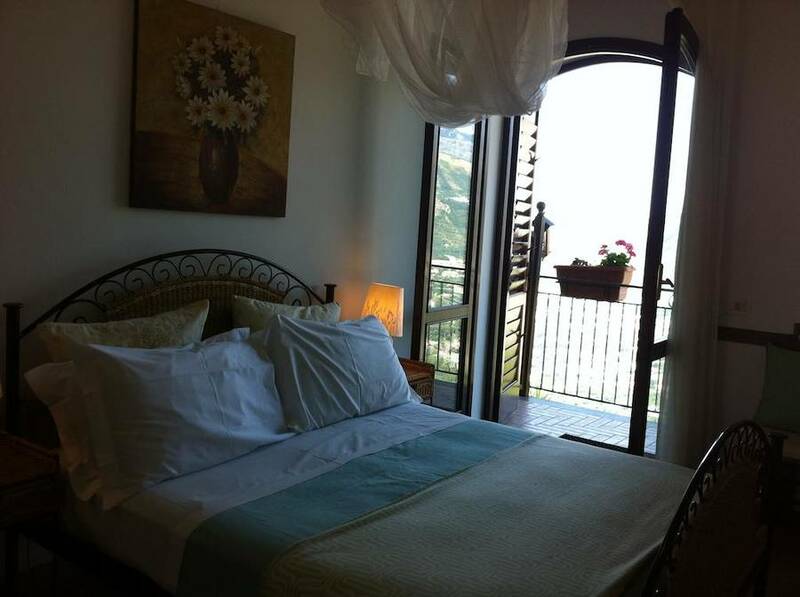 With the warm family-style welcome and informal comfort of the Villa Monica B&B, a holiday home in the hills outside of Sorrento, Italy with a view over the Bay of Naples, guests can enjoy all the authentic culture and beauty of the Italian coast while unwinding in a familiar and soothing home-like atmosphere. 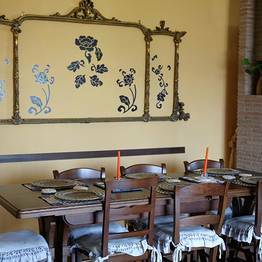 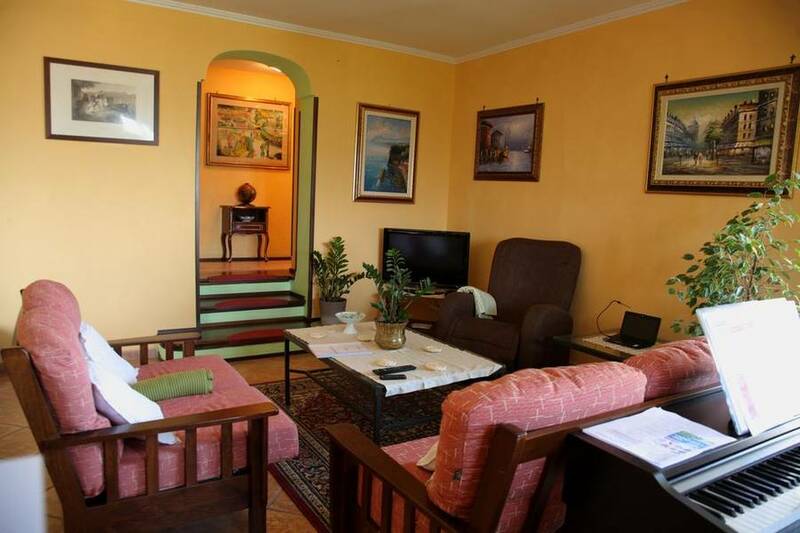 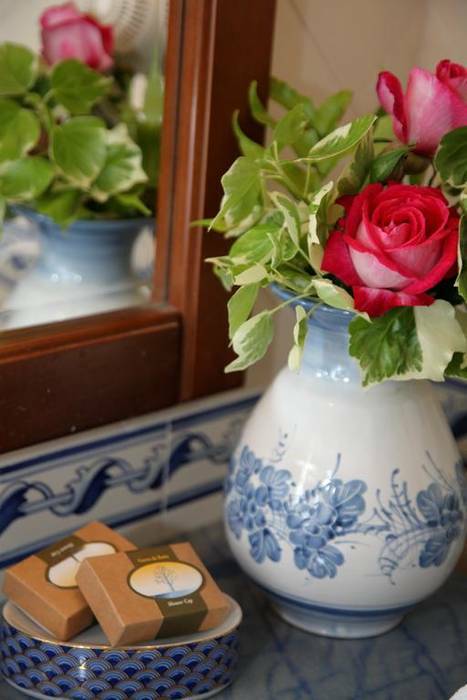 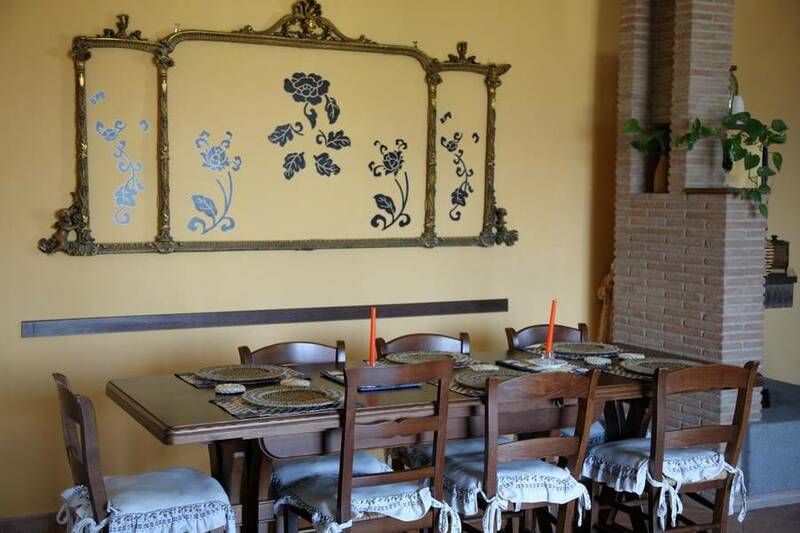 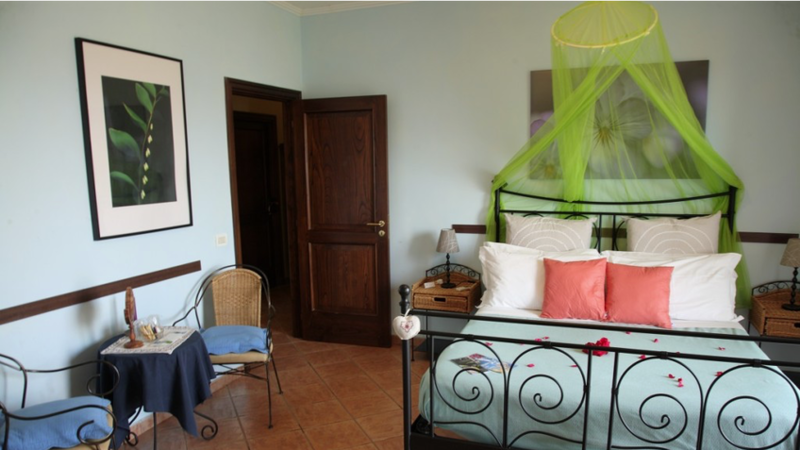 The Villa Monica B&B gives travellers the sense of being honored guests in a traditional house in the country, with a warm color palate, wooden and wrought iron furniture, and a rustic yet impeccable decor. 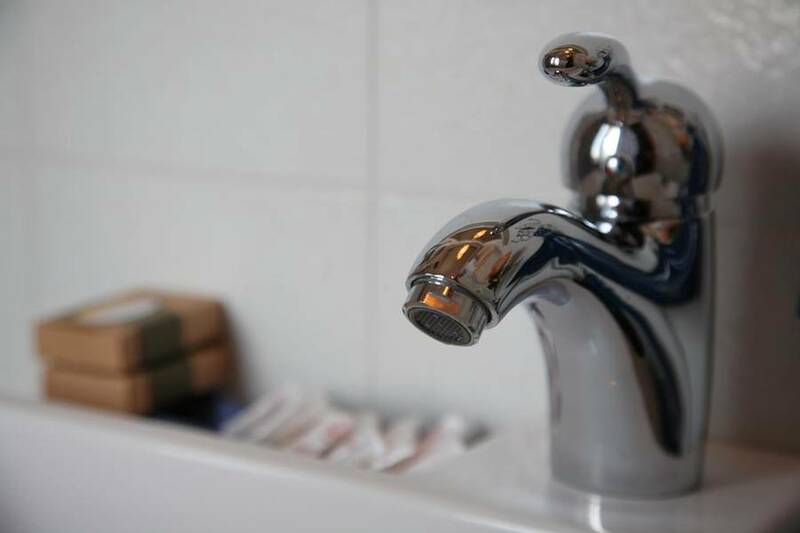 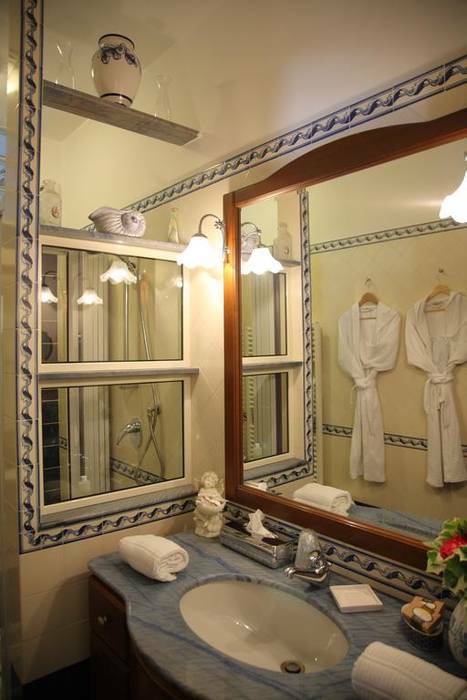 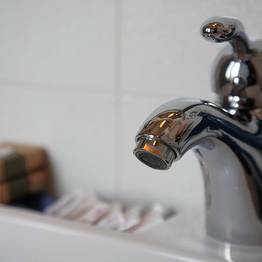 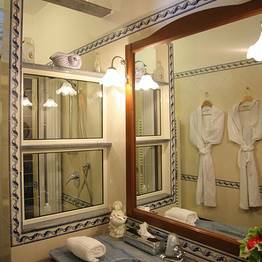 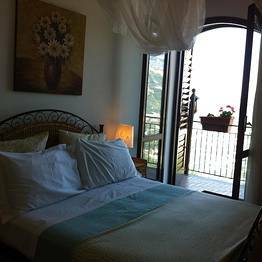 Each guest room has a private bathroom and all the comforts of a hotel, including air conditioning, satellite tv, free wifi, and a balcony with a table and chairs facing the Bay of Naples. 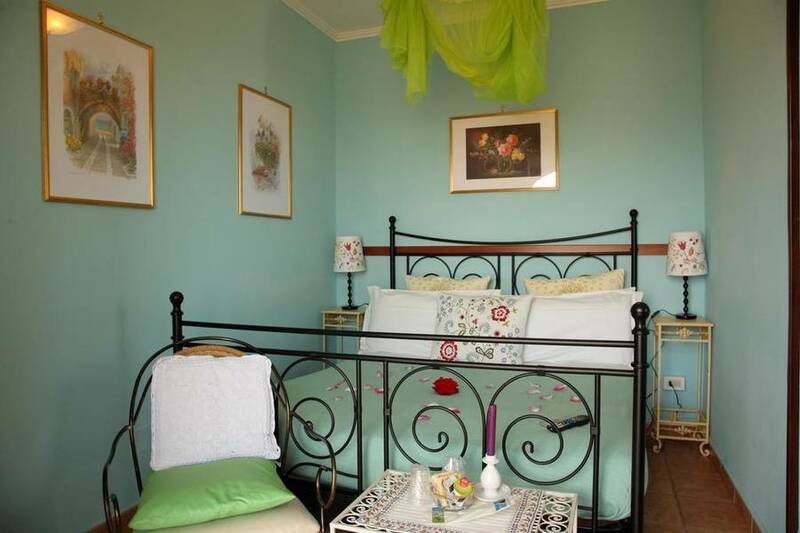 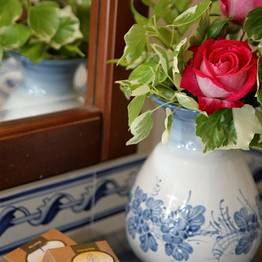 All rooms can accommodate a couple, or three guests with an additional bed upon request. 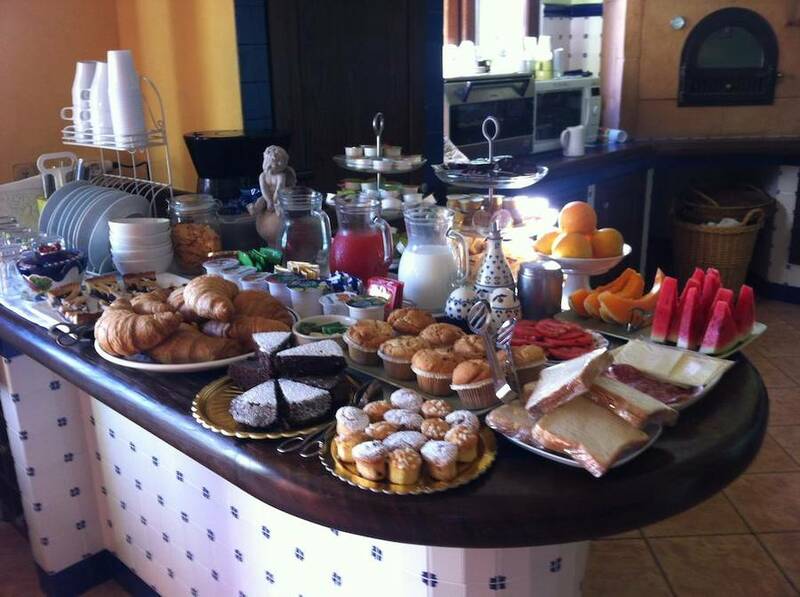 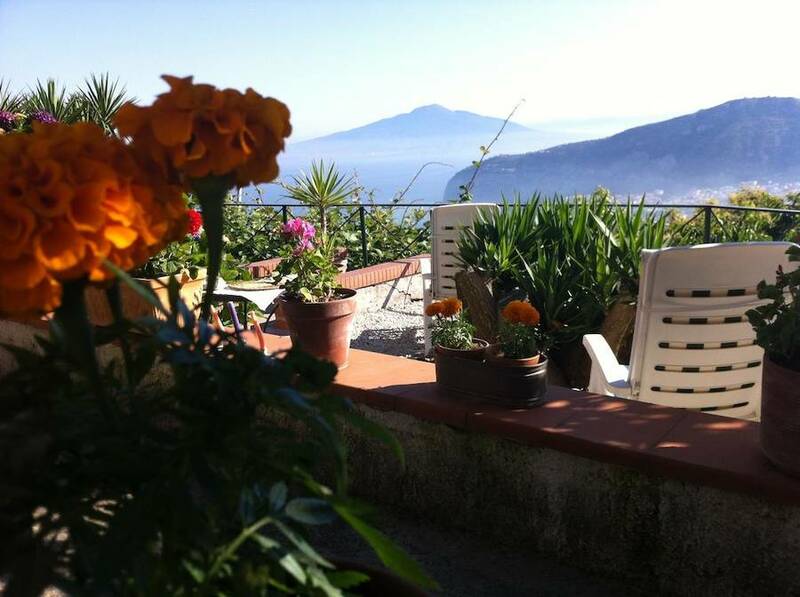 The kitchen and living room with a working fireplace are the heart of the B&B, where guests gather each morning to have breakfast while enjoying the view of the Bay of Naples and Mount Vesuvius. 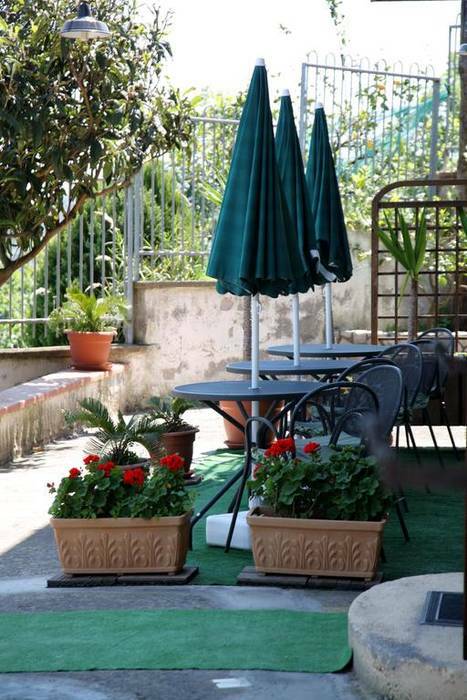 When the balmy summer weather begins, coffee and cake is served al fresco. 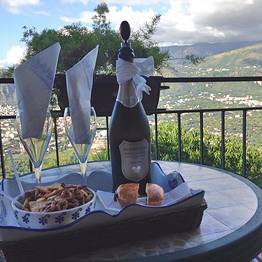 Villa Monica is located in the hills outside Sorrento, so the perfect spot for those who are looking to relax in the quiet countryside surrounded by the lush Mediterranean flora. 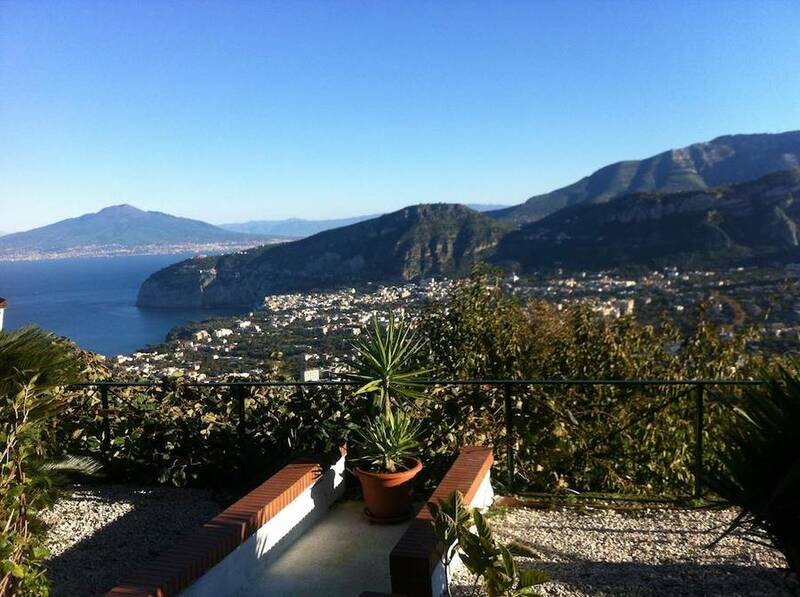 For guests who arrive by car, the villa has a private parking lot. 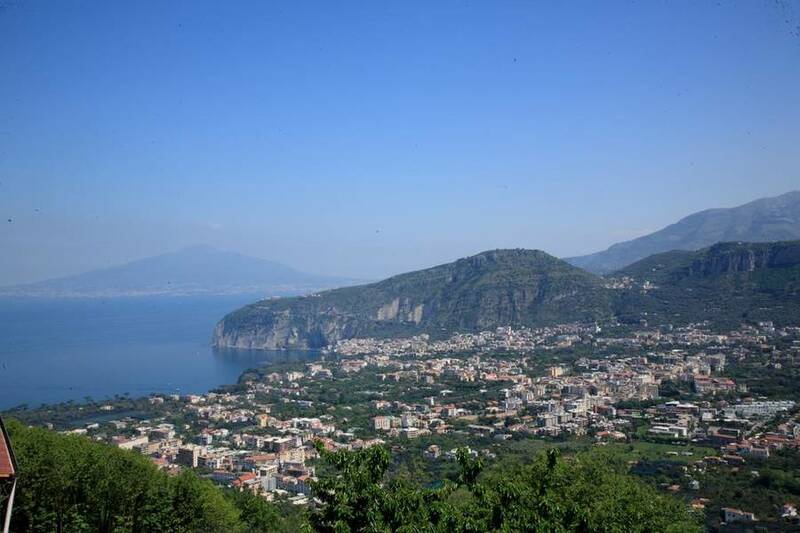 For those arriving in Sorrento by public transportation, the B&B has a shuttle service which runs between the villa and the center of Sorrento several times a day. 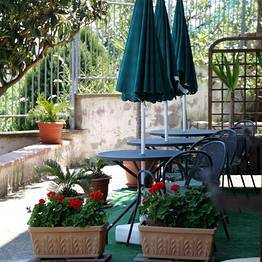 There’s only one place to stay in Sorrento! 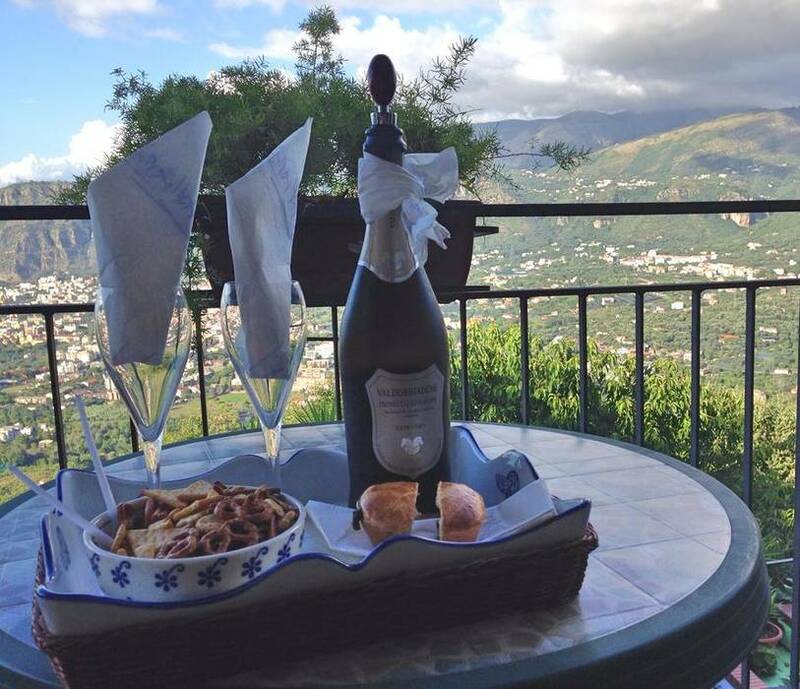 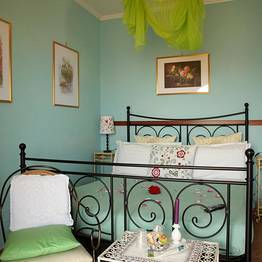 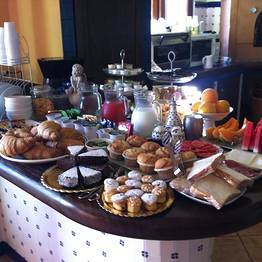 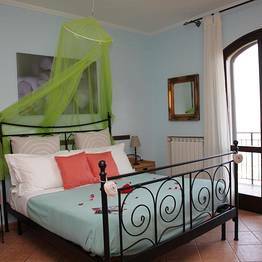 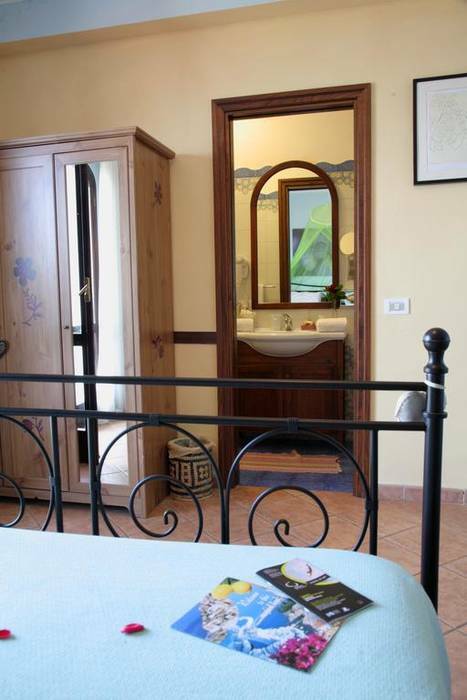 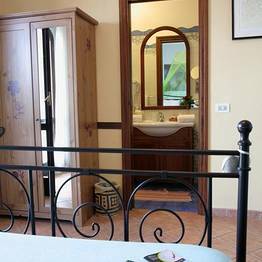 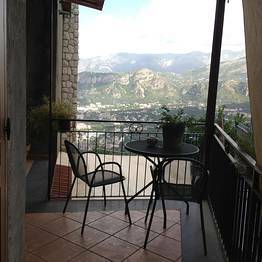 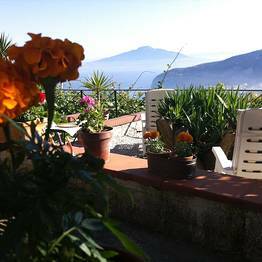 The Villa Monica Bed and Breakfast is on Via Campitiello, just a bit past the hamlet of Colli di Fontanelle in the hills 4 km from the center of Sorrento, Italy. 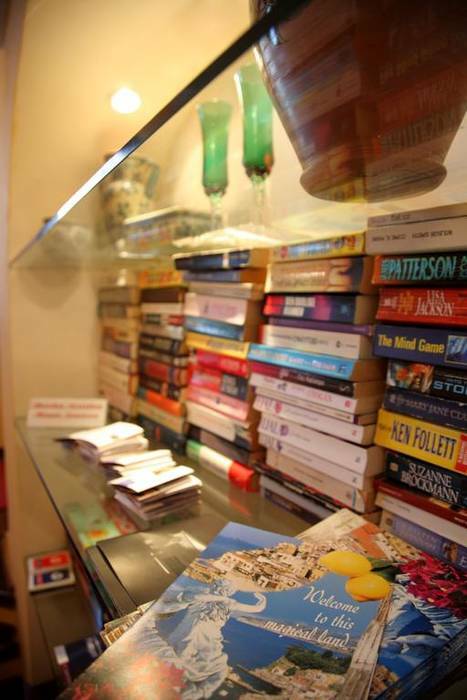 The B&B is well-marked along the road, so we recommend following the signage rather than using a navigator which may send you along very narrow roads. 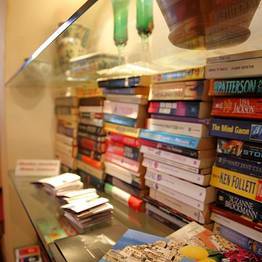 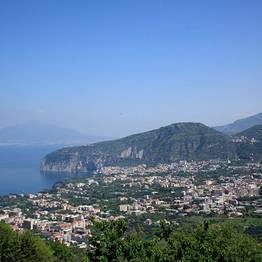 For those arriving in Sorrento by public transportation, the B&B offers a shuttle service from the center of town. 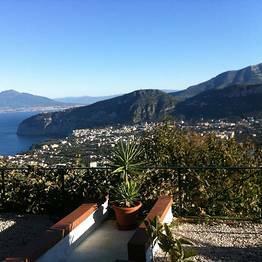 Book Villa Monica on SorrentoInsider now with no additional booking fees.